Reliable sources have told 9to5Mac that Apple is currently planning to publicly release iOS 7.1 in March, the first major update to iOS 7. The report notes that the iOS 7.1 update will not have any new features, except for some user-interface tweaks in the Phone app, an improved Calendar app, speed improvements, and numerous bug-fixes. 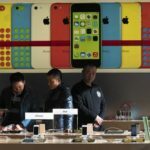 “The iOS 7.1 update is said to not have any “secret features,” and it will basically be what we have been told to expect by the past five betas. 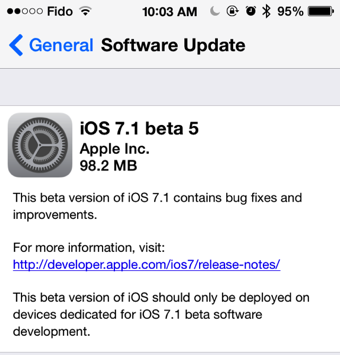 Earlier this week, Apple released iOS 7.1 beta 5 to developers with a handful of bug fixes and performance improvements.